All these chemicals have serious problems: they’re associated with birth-defects and pregnancy failures; they’re endocrine disruptors; they poison animals, especially amphibians but also reduce bird-nesting success; and/or they’re persistent – they stick around. 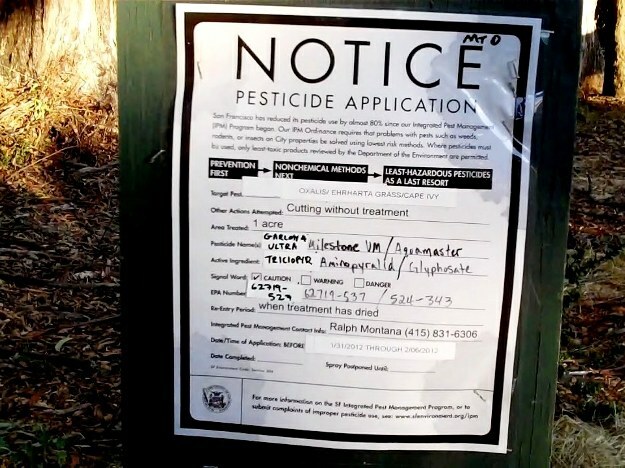 For details of the risks associated with each one, read the article Natural Areas Program’s Pesticides: Toxic and Toxic-er. We often get questions about this, especially from people who have heard about NAP from its supporters. 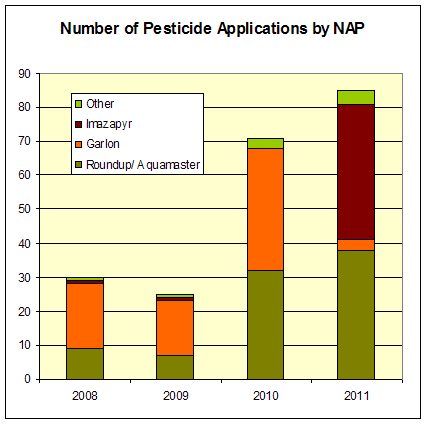 Q: They hardly ever use pesticides, right? Just once every few years? Q: But maybe they used less in each application? A: The amounts used went up in proportion. Q: Don’t they use very small amounts? Doesn’t the dose makes the poison? Q: But aren’t they herbicides… don’t they act only on plants? A: They act differently on plants and on animals, but they still can – and do – impact animals (and people). They may use different bio-chemical pathways in animals and in plants, and thus have different effects. None of these effects is good. 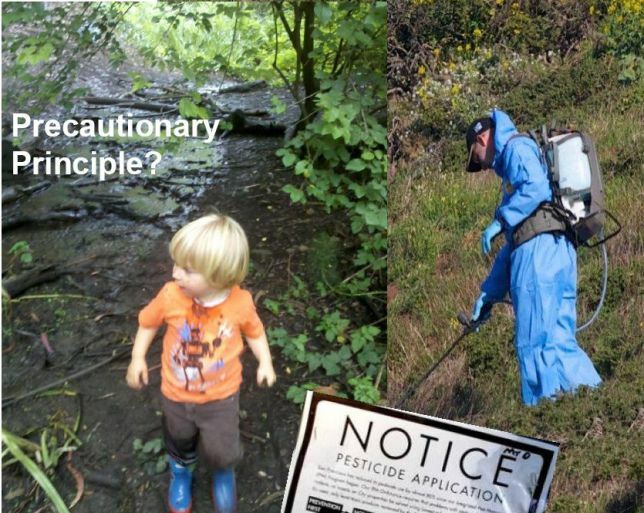 The city of San Francisco subscribes to the “Precautionary Principle” – if you don’t know the effects, don’t use it. The natural areas are where children explore, people walk, and pets are exercised. This is not a risk they should take.